Trained as a health geographer Thomas Krafft joined the School for Public Health and Primary Care of Maastricht University in 2011. He is Adjunct Professor (Health Geography) at Bharati Vidyapeeth in Pune/India and Honarary Professor of the Institute for Geography and Natural Resources Research, Chinese Academy of Sciences, Beijing/China. His research focus is on public health surveillance, urban (environmental) health and global health. Currently he is co-chair of the European Academic Global Health Alliance (EAGHA) and member of the steering group of the World Federation of Academic Institutions for Global Health (WFAIGH). Geographer. Full Professor in the Department of Geography and Tourism, University of Coimbra. Coordinator of the area of Urbanization, Health and Sustainability at the Centre of Studies on Geography and Spatial Planning. Coordinator of the EU funded project EURO-HEALTHY - Shaping EUROpean policies to promote HEALTH equitY (EU Horizon 2020 R&I under Grant Agreement No 643398). During the last twenty years she coordinated many national scientific projects and represented Portugal in several international projects (e.g. DEMETRIQ, INEQ-Cities, EURO-GBD-SE, EUROTHINE). She researches, publishes and teaches in the fields of geography of health, healthy urban planning and inequalities in health. She was an external collaborator with the Social and Public Health Science Unit at MRC-Glasgow (2004-2013) and a member of the poll of reviewers of the European Science Foundation (2001-2007). Between 2009 and 2012 she was Vice-President of the Lisbon and Tagus Valley Coordination and Regional Development Agency. 2016: Hu, Y; van Lenthe, F; Borsboom, G; Looman, C; Bopp, M; Burström, B; Dzúrová, D; Ekholm, O; Klumbiene, J; Lahelma, E; Leinsalu, M; Regidor, E; Santana, P; Gelder, R; Mackenbach, J, “Trends in socioeconomic inequalities in self-assessed health in 17 European countries between 1990 and 2010”, J Epidemiol Community Health, 70(7), p.644-652. 2016: Almendra, R.; Santana, P.; Vasconcelos, J.; Silva, G.; Gonçalves, F., Ambrizzi, T., “The influence of the winter North Atlantic Oscillation index on hospital admissions through diseases of the circulatory system in Lisbon, Portugal”. International Journal of Biometeorology, p.1-9. 2015: Santana, P.; Costa, C.; Marí-Dell’olmo, M.; Gotsens, M.; Borrell, C., “Mortality, material deprivation and urbanization: exploring the social patterns of a metropolitan area”. International Journal for Equity in Health, 14(55), p.1-13. 2015: Santana, P.; Costa, C.; Cardoso, G.; Loureiro, A.; Ferrão, J., “Suicide in Portugal: Spatial Determinants in a context of Economic Crisis”. Health & Place, 35, p.85-94. 2009: Santana, P.; Santos, R. & Nogueira, H., “The link between local environment and obesity: a multilevel analysis in the Lisbon Metropolitan Area, Portugal". Social Science and Medicine, 68(4), p. 601-609. Prof Raul Borges Guimarães is Adjunct Professor at São Paulo State University’s Laboratory of Biogeography and Health Geography. His current academic research is focussed on access to health care services, inequalities in health and environmental health. RODRIGUEZ, Martim; GUIMARAES, Raul Borges. Los espacios urbanos de sociabilización de los transexuales en la ciudad de Santiado de Chile. Revista Latino americana de Geografia e Gênero. Ponta Grossa (PR), v.3, n.1, 2012. GUIMARÃES, Raul Borges; RIBEIRO, Helena. Mapping of information on worker’s health. Revista Brasileira de Epidemiologia, São Paulo, v.13, n.4, 2010. GUIMARÃES, Raul Borges. Politicas de salud y escala geográfica. IN Jorge Pickenhayn (org). Salud y enfermedad. Buenos Aires: Lugar Editorial, 2009. GUIMARÃES, Raul Borges; RIBEIRO, Eduardo Augusto Werneck. Brazilian Health Plan and the dispute over the social place. Saúde e Sociedade, São Paulo, v.18, 2009. GUIMARÃES, Raul Borges. Brazilian health regions and scales: a geographical perspective. New Zealand Geographer, v. 2, 2007. Dr Liliana Dumitrache is Professor and Head of the Department of Human Geography, University of Bucarest. Dr Dumitrache’s current academic activity, research and teaching wise, is focussed on Geodemography and Geography of Health and Health Care, being responsible in managing both master and undergraduate degrees on offer by her institution. She is the geographer to have had introduced Geography of Health and Health Care as a teaching course in higher education curricula along with being the first geographer doing research in this field in Romania. Her research interest in studying health has started as early as completing her PhD thesis, published in 2004 under the title of ,, The Romanian population health status -a geographic approach’ publication which has been awarded by the Romanian Academy (Award Simion Mehedinti–2006). She has coordinated and supervised numerous students in their research activity in the field of Geography of Health. She has conducted research projects as: The geographic distribution of diseases and the main risk factors in Romania, (2002-2004); The dynamic of health and health care in post communist Romania through the perspective of European accession (2004-2006); Regional Disparities of Health and Health Care in post communist Romania and contextual European Effects (2006-2008); Geographical Distribution of Health Care Resources and its Impact on Romania’s Population Health(2007-2009); La migration féminine hautement qualifie dans le secteur de sante de Roumanie et Bulgarie vers la France : enjeux , défis et perspectives futures(2011-2013) and she has extensively published, books and articles within the subject area being the promoter of the geographical research in this field in Romania. Her current research interest focuses particularly on health care, health care reform and policies, demographic ageing. 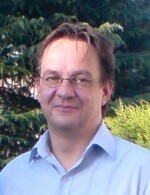 Dr Dumitrache is an active member of various professional organizations and associations, is a member of Editorial Board of several geographic publications and is Editor in Chief of Human Geographies – Journal of Studies and Research in Human Geography. Born on 1966, Prof. Yang is the Director of Department of Environmental Geography and Human Health, Institute of Geographical Sciences and Natural Resources Research, Chinese Academy of Sciences. He has co-authored more than 200 papers and 9 books. His main research interests are about chemical elements in environment and human health, GEC and human health, and environmental health risk assessment. Prof.Yang has been and is in charge of several project, including Natural Science Foundation, National Support Program, Institutional Directional Project and ect..
Prof. Yang is board director of the Geography Society of China, the director of Medical Geography committee of the Geography Society of China, the committee member of Environmental Medical and Environmental Health committee of the Chinese Society of Environmental Sciences, the committee member of Heavy Metal Pollution Prevention committee of the Chinese Society of Environmental Sciences, and the director of Youth committee of the Chinese Medical Association. Binggan Wei, Jiangping Yu, Yunshe Dong, Linsheng Yang*, Jing Wang, Yuan Xue, Shufang Guo. Effects of drip irrigation on migration and distribution of heavy metals in soil profile. Environ Sci Pollut Res, 23(4): 3632-3640, 2016. Binggan Wei, Jiangping Yu, Hairong Li, Linsheng Yang *, Yajuan Xia, Kegong Wu, Jianwei Gao, Zhiwei Guo, Na Cui. Arsenic Metabolites and Methylation Capacity Among Individuals Living in a Rural Area with Endemic Arseniasis in Inner Mongolia, China. Biol Trace Elem Res, 170( 2): 300-308, 2016. Zhang, FS, Xie, YF, Li, XW, Wang, DY, Yang, LS，Nie, ZQ，Accumulation of steroid hormones in soil and its adjacent aquatic environment from a typical intensive vegetable cultivation of North China，Science of the Total Environment, 538: 423-430,2015. Zhang Xiuwu, Yang Linsheng*, Li Yonghua, Li Hairong, Wang Wuyi, Ge Quansheng. Estimation of lead and zinc emissions from mineral exploitation based on characteristics of lead/zinc deposits in China Trans Nonferrous Met Soc China, 21:2513−2519,2011. Prof. Svetlana Malkhazova, Head of Department of Biogeography, Faculty of Geography, Lomonosov Moscow State University, has large experience in supervising and conducting international research projects on various issues and activities concerning environment and health. Svetalana Malkhazova research interest comprise Medical Geography, Environment and Health, Public Health and Urbanization and Wellbeeing. Svetlana Malkhazova is the chair of the Committee on Medical Geography of the Russian Geographical Society. She has published 12 monographs and more than 200 papers. H. Blaise Nguendo-Yongsi is a native of Cameroon. He received his master's degree and his PhD in Health Geography at the University of Paris X-France, then has served as Professional Researcher at the Geriatric Research Center-University of Montreal. He is currently working as Senior Lecturer in Population and Health with the Institute for Training & Research in population Studies (IFORD - University of Yaoundé II - Cameroon), and as Associate Professor in Epidemiology&Biostatistics at the School of Health Sciences-Central Africa Catholic University. His areas of research cover urban health, environmental change, health of vulnerable populations, and non-communicable diseases. Much of Nguendo-Yongsi’s work is guided by socio-spatial disparities patterns of diseases and explores social and physical health determinants as being the main risks factors of diseases in developing societies. Nguendo Yongsi HB. 2015. Assessment and comparison of bacteriological quality of drinking water in Yaoundé metropolis (Cameroon). Tropiques Santé. No 4, pp. 25-46. Humphrey NgalaNdi, H.B. NguendoYongsi. Health care delivery in Bamenda: pattern and process. In : NguendoYongsiH.B.,Bryant R. Christopher.2008.Visages et défis des principales villes camerounaises. Montréal, Presses de l’Université de Montréal, pp. 49-67. Dr Lovell has an academic background in Health Geography having completed her PhD at Queen’s University in 2007. In subsequent years she has undertaken Canadian Commonwealth and BRCSS Postdoctoral Fellowships and taught health policy at undergraduate and postgraduate levels. In her current role as Senior Lecturer at the University of Canterbury, Dr Lovell coordinates the Bachelor of Health Sciences. Dr Lovell is passionate about how social and economic change impacts health and health policy. Her research interests address the implications of neoliberal policy making for communities, the health workforce, and public health practice, with a particular emphasis on sexual and reproductive health and health promotion. Lovell, SA. (2017) Ageing Communities. In Skinner, M, Andrews, G, Cutchin, M (Ed. ), Geographical Gerontology: Concepts and Approaches. Routledge. Lovell, SA., Gray, A. and Boucher, S. (2016) Place, health, and community attachment: Is community capacity associated with self-rated health at the individual level? SSM - Population Health 3. Lovell, SA., Egan, R., Robertson, L. and Hicks, K. (2015) Health promotion funding, workforce recruitment and turnover in New Zealand. Journal of Primary Health Care 7(2): 153-157. Lovell, SA., Gray, AR. and Boucher, SE. (2014) Developing and validating a measure of community capacity: Why volunteers make the best neighbours. Social Science and Medicine 133: 261-268. http://dx.doi.org/10.1016/j.socscimed.2014.09.049. After a Ph.D. in Human Geography in 1997, she obtained a Habilitation Tenure Track Professor, in 2013, at Cheikh Anta Diop University of Dakar, Senegal. His Post-doctoral thesis is relative to “Decentralization and the reforms of the health system in Senegal: stakes and practices”. Her research interests are in Geography applied to Health, with focus on Health systems governance, Reproductive health, Spatial analysis on health care accessibility, Health as related to environmental/social issues, health transition theory. She is currently managing the Master’s Degree program on “Environment, Territories, Populations and Health”, which is the first Master’s specialized in Health Geography in the Western Francophone Africa, initiated in 2010 in collaboration with the University of Nanterre (Paris-Ouest, France) and the Gaston Berger University (Senegal). Mrs. NIANG-DIENE is also the Director, in charge of studies of the PhD Program on: “Water, Environment and Health” of the Graduate College on Water, Quality and Uses (EDEQUE), and a Founding Member of the African network for Training and Research in Territories and Health, established in 2014. Niang-Diène A. (2015): “The legitimation of traditional medicine in Senegal: between institutional issues, actors’ strategies and therapeutic practices”. In Offre, recours et accès aux soins parallèles en Afrique, chapitre 2 : 47-64. Socpa A. Nguendo-Yongsi B. et Djouda-Feudjio Y. B. (eds). International Journal of Advanced Studies and Research in Africa. www.africascience.org/journal. Collection:Science et Découvertes, 310 p.
Niang-Diène A. (2013):“Community-based Services: an Alternative for the Improvement of Knowledge and Practices in Maternal and Child Health in Senegal?” Dakar, Annals of the Faculty of Arts and Humanities, Cheikh Anta Diop University, n°43/B-2013:p.73-84. Faye S.-L., Niang-Diène A. and Desclaux A. (eds. ): Health and Mobility from North to South: Movement of People, Evolution of Practices. Presses Universitaires de Dakar, Revue de Sociologie/Anthropologie/Psychologie, n° 2,2010. MinvielleJ.P., Diop A. and Niang A. (2005): Poverty in Senegal: from Statistics to Reality. Paris, Editions Karthala, 2005. Professor of Geography and Public Health, Elliott has worked as a faculty member at 3 Canadian research intensive universities. She has an active research career, with over 150 peer reviewed publications related to environment and (public) health, focused on Canada and the developing world. She has also supervised 30+ graduate students and post-doctoral fellows to completion. 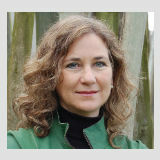 She has undertaken a range of administrative and research leadership roles including Director of the Institute of Environment and Health (McMaster), Senior Research Fellow in the United Nations University Institute for Water, Environment and Health, Dean of Social Sciences (McMaster) and Dean of Health Sciences (Waterloo). For the past 6 years, she has been a program lead for the AllerGen NCE (gene environment interactions as they relate to allergic disease) for the theme: Patients, Policy and Public Health. She is PI for the development of a National Food Allergy Strategy for Canada and the PI of GLOWING – the development of a Global Index of Wellbeing, based upon the successful Canadian Index of Wellbeing. She is also a Senior Editor for Social Science and Medicine. Harrington DW, McLafferty SL and Elliott SJ (eds. ), Population Health Intervention Research: Geographical Perspectives. Routledge: Taylor & Francis Group: New York. 2016. Gatrell, A.C. and Elliott, S.J. Geographies of Health, Third Edition. London: Wiley-Blackwell, 2015. Dixon, J. & Elliott S.J. Exploring End-user Experiences in the Co-production of Knowledge Through Integrated Knowledge Translation: A Biomedical Investigation of the Causes and Consequences of Food Allergy. Research Involvement and Engagement. 2016. 2:27. Atiim, G.A. & Elliott, S.J. The Global Epidemiologic Transition: Noncommunicable Diseases and Emerging Health Risk of Allergic Disease in Sub-Saharan Africa. Health and Education Behaviour. 2016, 41(IS) 37S-55S. I am conducting theoretical and empirical research devoted to spatial mechanisms of health inequalities in urban areas. I aim to better understand how people experience their neighborhood and their city, how they access physical and social resources and how variability in place experiences and in resources accessibility may translate into inequalities in health. I am coordinating RelatHealth project in which we adopt relational approach to place effects on health status and health behavior in Paris (France) and Montreal (Canada) through considering people’s daily mobility and neighborhood experiences. Main research in geography of health, political geography and geography of development and lectured at many universities throughout the world. Ed.Rais Akhtar & Nilofar Izhar. Rawat Publications,Jaipur,2010, 498 p.
Académie Royale des Sciences d’Oure-Mer, Bruxelles,2006, 129 p.
(with D.R.Phillips) Health and Development Routledge, London & NewYork, 1994, 331 p.
(with BF Iyun & JA Hellen) The Health of Nations. Medecine,, disease and development in the Third World. Avebury, Aldershot, 1995, 295 p.
(with D.Willaert) World Atlas of Ageing WHO Centre for Health Development, Kobe(Japan), 1998, 138 p.
Mark W. Rosenberg is a Professor of Geography and cross-appointed as a Professor in the Department of Community Health and Epidemiology at Queen’s University in Kingston, Ontario, Canada. In 2006, Professor Rosenberg became the first winner of the Queen’s University Award for Excellence in Graduate Student Supervision in the Social Sciences and Humanities. In 2008, he was made an Honorary Professor in the Chinese Academy of Sciences Institute for Geographic Sciences and Natural Resources Research. In 2010, he was invited to be a Visiting Professor Senior International Scientists by the Chinese Academy of Sciences for the period 2011 to 2013. In 2012, Professor Rosenberg received a Queen’s Elizabeth Diamond Jubilee Medal and became the Canada Research Chair in Development Studies. He also became an Adjunct Professor in the United Nations University Institute for Water, Health and the Environment. His research covers a wide range of topics including health and the environment, access to health care services, and vulnerable populations (especially older populations and Aboriginal Peoples). Queiroz, Josiane, T.M., Mark W. Rosenberg, Léo Heller, Andréa L. M. Zhouri, Sara R. Silva (2012). “News about tap and bottled water: Can this influence people’s choices?” Journal of Environmental Protection. Vol. 3, pp. 324-333. Cheng, Yang, Mark W. Rosenberg, Wuyi Wang, Linsheng Yang, and Hairong Li (2012). “Access to residential care in Beijing, China: Making the decision to relocate to a residential care facility,” Ageing & Society. 32, pp. 1277-1299 doi:10.1017/S0144686X11000870. Cheng Yang, Jiaoe Wang, and Mark W. Rosenberg (2012). “Spatial access to residential care resources in Beijing, China,” International Journal of Health Geographics. 11:32, DOI: 10.1186/1476-072X-11-32. Herman, Katya, Wilma M. Hopman, and Mark W. Rosenberg (2013) “Self-rated health and life satisfaction among Canadian adults: Associations of perceived weight status versus BMI,” Quality of Life Research. DOI 10.1007/s11136-013-0394-9. Harrington, Daniel W., Kathi Wilson, Mark W. Rosenberg and Scott Bell (2013). “Access granted! Barriers endure: Determinants of difficulties accessing specialist care when required in Ontario, Canada,” BMC Health Services Research. 13:146. DOI: 10.1186/1472-6963-13-146. Professor Wang has been engaged in the study of environmental change and human health since 1975. He worked for two years in the Imperial College London from 1984 to 1986. He was PI in different national and international scientific projects covered most poverty areas of China related to endemic diseases and health risk of heavy metals in the environment, and the health impacts of urbanization. He is the co-chair of Commission on Health and the Environment, International Geographical Union (IGU); steering member of IHDP Advisory Group on Human Health; vice chair of Gerontological Society of China; chair of Committee on Medical Geography, Geographical Society of China. His domains are thus the geography of health, with a particular interest in urban areas in all geographic areas (Asia, sub-Saharan Africa and North Africa). He has published more than 200 articles, chapters and books. Après une licence et une maîtrise dé géographie à l'Université de Paris-I Sorbonne, Gérard Salem a passé une thèse en "Etudes Africaines" Anthropologie, (Géographie, Histoire) à l'Ecole des Hautes études en Sciences Sociales de Paris. Il a complété sa formation par le DESS en urbanisme à l'Institut d'Etudes Politiques de Paris, et le diplôme d'épidémiologie de l'Institut Pasteur de Paris. Il a travaillé au Sénégal sur les questions de santé urbaine de 1980 à 1998, puis a été Professeur à l'Université de Montréal (1989-1992) où il a enseigné la géographie de la santé et la géographie de l'Afrique. Depuis 1997, il est Professeur à l'Université Paris Ouest où il dirige le master de géographie de la santé et l'équipe "Espace Santé et Territoires". En accueil à l'IRD-Dakar (CEPED) depuis 2009, il enseigne également à l'Université de Dakar. Il est membres de nombreux conseils scientifiques français (Assurance maladie, observatoire de professions médicales) et internationaux (ICSu, UGI, etc.). Ses domaines de recherches touchent à la géographie de la santé avec un intérêt particulier pour les zones urbaines dans les pays du Nord comme du Sud. Il a publié sur ce sujet plus de 200 articles, ouvrages et chapitres d'ouvrages. Izabella Lecka mainly deals with health geography of developing countries. She studied in Poland and in Cairo. She obtained her PhD on the topic "Water borne diseases in Africa and Asia". Since the 90s she successively conducted research on the geography of disease and in recent years she is also focusing in the field of unequal access to medical care, with particular emphasis on telemedicine solutions for developing countries. Izabella Lecka conducted fieldwork in Poland and in many countries in the Middle East, mainly in Egypt, Turkey and United Arab Emirates. She was part of the scientific team working on a “Strategy for development 2008 – 2030 – Libya”. She is also the author of several handbooks for geography. Personal Profile: I am a New Zealand geographer with strong international connections and collaborations with interests in understanding the place-based determinants of human wellbeing. My inquiries have ranged across rural, urban, and health-system spaces. The unifying theme, as expressed in the title of my 2002 Routledge book with Wil Gesler, is a critical understanding of the links between culture, health and place. My work has four strands. First, building on my doctoral work at McMaster University, I have examined the ‘downstream’ consequences of the deinstitutionalisation of mental health care and the ways the lives of users and providers of services, as well as the legacy in the built environment, have been reshaped by evolving policy. Second, I have examined the impacts of rural restructuring on community wellbeing. These studies on health care provision, housing schemes, and school closures have advanced an understanding of the place of service provision in sustaining communities. Third, as part of a global concern to develop sustainable cities, I work on the capacity of urban design to promote physical activity and social cohesion especially from the perspective of children. Fourth, I have an interest in primary health care and the transformation of clinic and hospital spaces into more convivial settings under capitalism (e.g., the capacity of such spaces to offer inclusion and acceptability for patients). In sum, these investigations have aided a re-thinking the epistemological basis of medical geography and contributed to its re-visioning as an enlarged and inclusive geography of health. One way I have fostered this goal is through being an Associate Editor of the journal Health & Place. KEARNS, R.A. and GESLER, W.M. (1998).Putting Health into Place: Landscape, Identity and Well-being. Syracuse University Press, Syracuse, New York. KEARNS, R.A. and MOON, G. (2002). From medical to health geography: theory, novelty and place in a decade of change. Progress in Human Geography 26, 587-607. GESLER, W.M. and KEARNS, R.A. (2002). Culture/Place/Health Routledge, London. KEARNS, R.A., JOSEPH, A.E. and MOON, G. (2010).Memorialisation and remembrance: on the metamorphosis of psychiatric asylums into sites for tertiary educational provision. Social & Cultural Geography 11 (8), 731-749. KEARNS, R.A., LEWIS, N., McCREANOR, T. and WITTEN, K. (2009). 'The Status Quo is Not an Option': Community impacts of School Closure in South Taranaki, New Zealand. Journal of Rural Studies 25, 131-140.
the problems and the implications related to the environment sustainability. The geographical areas considered, affect Italy, and peninsular Italy in particular, and for geomorphological , demographic and socioeconomic characteristics observed –in a big range of environments- the results derived from each study, can be considered a model for other territories as well, and an example of national geographic reality. Dalla cura della malattia alla riconquista della Salute. Percorsi di Geografia medica, in C. Palagiano (a cura di), Linee tematiche di ricerca geografica, Bologna, Patron, 2007, pp. 143-164. Health care facilities in Umbria (Italy): the situation in the 1990s, in R. Akhtar and N. Izhar (Eds), Global Medical Geography, Rawat books, Jaipur (India), 2009 – ISBN 81-316-0. Sara McLafferty is Professor of Geography at the University of Illinois at Urbana-Champaign. She obtained her B.A. from Barnard College and M.A. and Ph.D. degrees from the University of Iowa. Her academic career began in New York City where she taught first at Columbia University and then at Hunter College of the City University of New York. Sara loves cities and has a deep interest in how urban environments relate to health and well-being. Her research investigates place-based inequalities in health and access to health services and employment opportunities for women, immigrants and racial/ethnic minorities in the United States. An ongoing multidisciplinary project, funded by the American Cancer Society, examines the impacts of inequalities in socio-economic deprivation and spatial accessibility to health services on racial disparities in prostate and colorectal cancer outcomes in Chicago. She has also written about the use of GIS and spatial analysis methods in examining and addressing health and social issues in cities. She is currently an Associate Editor of Health and Place and serves on the editorial boards of the Annals of the Association of American Geographers, and Spatial and Spatiotemporal Epidemiology. E. Cromley and S. McLafferty, (2011) GIS and Public Health, 2nd edition. New York: Guilford Press, 503 pp. J. Maantay and S. McLafferty, eds. (2011). Geospatial Analysis and Environmental Health. New York: Springer. T. Brown, S. McLafferty and G. Moon, eds. (2010). A Companion to Health and Medical Geography. London: Blackwell. McLafferty, S., M. Widener, R. Chakrabarti, S. Grady (2012). Ethnic density and maternal and infant health inequalities: Bangladeshi immigrant women in New York City in the 1990s. Annals of the Association of American Geographers. DOI:10.1080/00045608.2012.674901. S. McLafferty and F. Wang (2009) Rural reversal? Rural-urban disparities in late-stage cancer risk in Illinois, Cancer, 115(12):2755-2764.